Is dance like riding a bike? 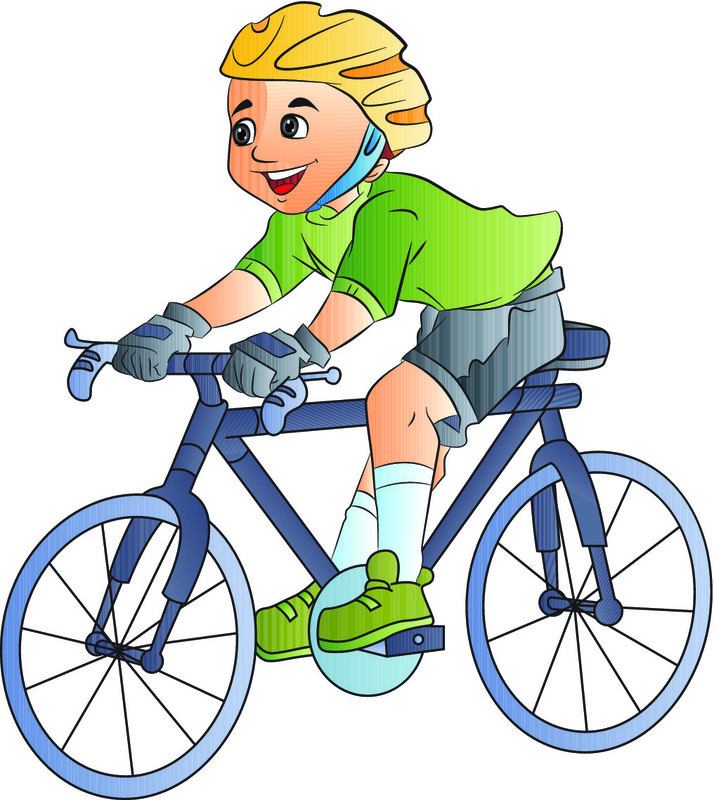 Many people assume that dance is like riding a bike. Once they get to a certain level of dance they assume will be able to take leave of dance for an extended period. When they return to dance they then also assume it will be with enough skill to practically pick up where they left off (or maybe a little behind). Is this really the case? If it were the case, then it would be assumed that much of dance can be automated and that little mental effort is required to dance. However, it has been shown that dance is one of the best ways to prevent dementia. The reason for this is that dance works many parts of the brain at the same time. This includes the parts of the brain that are not associated with automated processes – like the parts of the brain that you sue when riding a bike. If dance uses those parts of the brain that are not the automatic parts, then you need to keep up your practice. This was an observation made by James Joseph in his book “Every Man’s Survival Guide to Ballroom Dancing: Ace Your Wedding Dance and Keep Cool on a Cruise, at a Formal, and in Dance Classes” who put people who have had lessons a few years back into the category of people who can’t dance. It would certainly seem that dance is not that much like a riding a bike. For leads, figures can be forgotten. Follows are a little more fortunate if they focus on following such that they need not remember figures. However, the more subtle the figure the greater the chance that you will not recall all the figures you know. You possibly will maintain your rhythm, and be able to step in time - for me this is kind of the case (I never had timing so I seem to lose that first). You might also recall how to learn dance so that you could get back into it faster. However, learning is one of those things that you lose if you do not use it. Therefore, if you stop dancing for a while, then you will likely find that you forget most of what you know. I have found that event focusing on one style (say swing) at the expanse of another (say street Latin) can result on the latter dance becoming poorer. Thus, I would have to say that you can;t hope that doing one dance will maintain your ability in another dance. This is not such an issue; it simply means that you should keep dancing. You need not keep taking lessons to maintain your dance. Once you get to a reasonably level (after about a year or so) you can simply dance socially on a regular basis (especially if you dance socially while learning) to maintain your skills. In fact, you will probably find that you will be able to simply watch others dance, reverse engineer their figures and then master them. That will definitely maintain your dance ability. Don’t feel you need to keep taking lesson, but make sure you keep dancing. You can always go back to the lessons as you need to though. The post is going to start off with something that will seem odd, but stick with me here. It will be worth it. Consider the following: how hard would it be to recall the statement below and rewrite it upon request? Anyone who has learned to read sheet music will know where this is from. It is a mnemonic to help you recall the notes for the lines (E, G, B, D, F). The fact that is a mnemonic is important; it is much easier to remember than a series of disconnected letter. The sentence is like a single thing to recall and thus easier to remembers than the letters at the start of each letter. Now imagine how hard it would be to recall the series of letters – someone who knows the letters of the alphabet, but not yet how to spell. It would be near impossible. Imagine now someone who doesn’t know the letters of the alphabet and had to recall each basic shape as a series of lines and circle segments. If the prior task was near impossible, then this would require a near photographic memory. However, you would be able to reproduce the sentence by simply recalling the single phrase and then reproducing it using the knowledge of the alphabet and spelling that you have gained over the years. So imagine how easy it would be to recall a dance routine if each figure was like a letter to you. Each line of a routine would be as complicated as a word or a phrase. The whole routine would be a short story. This is what experienced dancers do – especially the ones who can quickly learn a routine. They do not learn each foot placement – they learn letters (the figures). They also work on good penmanship – (the proper posture and top-line and such for each figure). That’s like simply writing in a manner that looks good. I am not sure how good your hand writing is, but I am pretty sure that you can write a sentence. How did you get to that stage? Remember how hard you were worked as a child? That was just hard drilling so that the letters of the alphabet were known to you – it might be hard to recall E, G, B, D, F, but you can probably recite the alphabet. If you wanted nice hand writing, then you could have practiced that too – you just needed to put the effort in and you would know that each letter you write would look good. Learn each figure (of each style you do) and its name – to the point where if someone says it, then you can recall how it looks and how it feels (you could do it). This step will take a while. Take a line of a routine that you are learning and remember each figure in it and in order. This might seem odd at first, but this is how many successful dancers quickly learn new and many routines. They are not recalling one incredibly long figure like many of us do when learning a routine. They are linking together a series of letters into words and then a phrase/story. So put the effort now into having a total recall of each figure – like learning the alphabet. It won’t be easy, but it will make things much easier in the future – just like learning the alphabet. Have you ever gone to dance something that you knew you knew some time ago, but then found that you no longer did know? It happened to me the other night, but that was certainly not the first time it had happened. 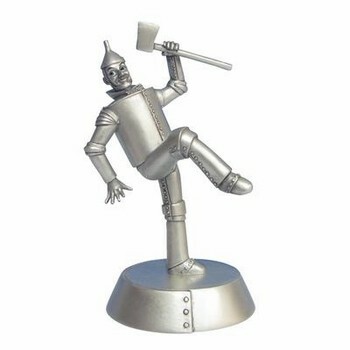 However, it occurred to me that even though I felt like a rusty tin man as I danced, it was probably good for me. This only occurred to me because at this time I was at a salsa night that started with a lesson on Forró. I had not danced Forró before and I was also a little rusty with my Salsa so you would think that it was challenging night. However, it occurred to me that there was a benefit that was common to the two cases. Learning the new dance and trying to recall the old dance really got the brain working. This is one of the greatest benefits of social dance. It makes you think in a way that is incredibly effective at exercising the brain to help decrease the chances al Alzheimer’s. I have mentioned this before, but take a look at this to see how effective social dancing is at fighting Alzheimer’s. The act of learning new steps is an important part of social dance. Relearning seems just as challenging as learning. So if you ever go to a dance event and find that you have forgotten how to dance a certain style, then it’s just a chance the practice learning again. This will make you better at learning other dances and other figures and it’s good for the brain. So what’s the moral or this post? Don’t be afraid to learn a new style at the risk of forgetting one you know. If you need to relearn the one you forget, then it is a chance to improve your dance learning ability. This will help you in all aspect of being a dance student. It will also be good for you brain. Dancing can indeed be a lifelong learning task. No matter how good you get at one, there will be another one you can learn. By the time you get to the end, you can start all over again like a rusty tin man, which, as it turns out, is good for you! I have recently taken a new direction with my partner dance development. I have gone from learning routines to learning to freestyle. In this post I will tell you what I have noticed and experienced so far. Historically, I was really only learning routines and doing medals/gradings in my one on one lessons. I was doing a few group classes in styles I liked. I was also dancing socially on occasion. However, most of my efforts went into learning routines for the next medal. then I probably would have failed. I think this is more an issue for male dancers who need to recall the figures and then pull them out as needed. I have spoken to many women who say that their instructors never teach them the routine. Instead, the instructors simply teach them all the figures and how to follow them. That way when it comes time for the medal/grading, she will follow properly, and get a good grade. Women have told me that even if they can’t recall the figure, once it is led it comes to them. Their bodies remember – so all good for women pretty much. For men though, it’s a bit different. Men need to recall the figure, know when they can put it into the dance and then lead it. Simply learning a routine does not help much with this. That’s the issue I wanted to deal with and that’s why I decided to change the nature of my lessons. So my one on one classes now have focused on recalling the figures, how they can be brought together, how they should feel (not just for me, but what o should feel from the follow) and putting them together in combination for better floor craft. The changes in my experience and what I have been learning have been very significant! The most significant thing I have noticed is that I am now learning many subtleties in the follow that I can use to understand where the woman actually is – both where she is on the dance floor relative to me and the position of her body. I am now getting better at using this to better time my leads. This will obviously make me a much better lead, and I can already feel my awareness of how to properly move my partner on the dance floor improving. But it also makes the act of dancing much more stimulating and enjoyable. The next most significant thing I have noticed is how lazy I have become. Learning a routine really makes you focus. It’s a clear goal, and this helps you focus more between classes. In class I am now saying things like ‘I have forgotten what we did, can we do it again?’ more frequently than I used to. It’s probably not as bad as it sounds; I usually recall it pretty quickly. I do however know that I need to find a better way of learning under this new approach. In summary - I am really happy with learning what feels like “true” leading, but I do need to find a way to make the learning more effective. Still, the question you might be asking is: what does this mean for me, Clint? I would certainly recommend trying this approach to learning dance if you have not before. It’s pretty clear for me that this will help men much more than it will women so maybe the women have stopped reading by now. However, if you are a man, then at some time you really should try this. But before you get too excited, I do think it helps to have a good number of figures under your belt beforehand. Even if you can’t recall them, they will come back to you. I have noticed many things coming back to me. If I had not done the medals, then I would not have been trying to learn figures (instead of recalling them) and focusing on these subtleties – probably not easy. Therefore, I think learning routines is good at the start. It gives you that focus you need to learn fast, but routines also provide good examples of how to put figures together. I would say that once you have done two levels, you’re probably in a good place to try this. However, I reckon you could do it after your first medal/grading. I should make another observation. I think this is as new for many teachers as it is for students – female teachers with male students mostly. Expect to learn how to learn this. I have been given “homework” while doing this, but I do think that the nature of these out of class tasks can be refined. Expect to play around with any “homework” you get to work out how best to practice and learn. That’s what I am doing now, and I will report back on any insights that come to me as I do. To wrap this all up I would say that if you have progressed a bit and would like to know how to freestyle more, then focus on lessons that only deal with learning figures and how to use them while dancing socially. However, expect that it might take a while to work out how to develop in this area quickly. If you have tried anything like this and have some insights to share, then please do so below. If you’re like me, then one of the challenges you have is remembering routines in social dance. I have been trying a technique to learn dance routines faster and I was pretty happy with how it worked for me so I am ready to share it. However, before we get into details – we need to talk about chess. If you have read much of my other stuff on dance, then you will know that I mainly focus on looking into areas outside of dance to find techniques that can help develop attributes ideal for social dance. One of these attributes is memory. So who has really good memory? Obviously memory champs do. However, so do chess players. Experiments demonstrate that master chess players can be shown a chess board with pieces as the might be in a game for only 5 seconds and then reproduce the board lay out exactly from memory. That’s up to 32 items each placed correctly within in 1 of 64 places after only 5 seconds to commit the items and their location to memory! That, to me at least, seems very impressive. However, the story takes an interesting turn when you learn about another experiment. If the chess pieces are placed randomly (not in a configuration that would be possible within a normal game), then the chess masters are no better than you or me (I assume you’re not a chess master as well as a social dancer) at remembering the positions of each chess piece. The chess masters did not remember the locations. Instead, the remembered the strategy or the game of play. Once they knew the strategy that was evident in the game, they could infer with the limitations that come from the rules of the game where each piece would need to be. This means less memory is actually needed for a good memory. Instead, you need good understanding and reasoning for good memory. How does this work for dance? Dance is not random either. The foot placement and the positioning of the body are both limited by what went before and what needs to come next. They also need to fit with the music and the nature of the dance. You can use all of these with a smaller number of positions to be able to infer a routine and ‘Remember’ it. This however, is a skill that needs to be developed. I have found that if I focus on a few key points within a section on a routine (say 4 or 5, which is around the limit of short term memory and the reason why phone numbers come on sets of 4 digits) and how you get from one to the other, then I will recall the routine and remember it much faster. You might have already realised that you do the same thing with other areas that you have a lot of experience in: sports plays, answers to exam questions, reciting stories, directions when driving to work, operating a complex piece of machinery etc. There’s no reason why you can’t do this for dance either. Next time you need to learn a routine, try expanding the perspective you use when how you recall it. Instead of thinking about each foot placement, think of the key points in the routine and how you get from one to the other. You might still need to remember some specifics of each step, but that’s now a part of a different memory task, and this limits the memory reserves you need to put into learning the routine. This all seems good, but I have found some issues. Even though I have recalled the routine quickly, I have not always been able to get the timing right. Also, it does not mean that I have the technique right. Learning the technique quickly might make your teacher think that everything else is ok too. You might have read the section in part 1 of my e-book on the ‘Halo effect’ and how teachers can forget how hard some things can be to learn. You might also recall from my previous writing that my biggest challenge is musicality. Indeed, when I used this memory method, I found my musicality became the major limiter to my progression. I knew the routine, but I needed to really drill it with the music to do it in time. If you have any other memory techniques that you think help, then please share them in the comments section below. It’s good to share ideas so that we can all look for ways to improve. One last thing - If you would like to read more about the memory experiments on chess players or about performing better in general, then I can recommend the book below. I have used it to improve my dance ability and to improve the way I teach (engineering; not dance). For full disclosure - if you do buy this book via the link, then I will get a comission. What are you taught mostly when you learn dance? Do you learn routines or do you only learn freestyle? In either case have you ever worried that you’re not learning enough or one or wondered which is the best to learn? Chances are you have not given it too much thought, but it’s worth being aware of the relationship between the two so that you can better manage your progression as a student of partner dancing. In this blog I will go over the nature of freestyle and routine and talk about how you can use them both most effectively. There are a few areas where what men need to deal with is a bit different from what women need to deal with. Finding that balance between the use of freestyle and routine is one of them. If you’re a woman, then chances are you’re learning everything in a freestyle manner. Even if you’re learning a routine your instructor might tell you to focus more on simply following, and to forget about the routine. This will help improve your ability to follow whomever you’re dancing with so that you can basically do any routine. The paradox for women is that by learning freestyle only they are better able to dance any routine. If you feel that you are expected to remember routines too much instead of following, then you might want to talk to your instructor about what and how you’re learning. Men on the other hand need to learn routine. This is especially so when going for medals or gradings and such. However, when you dance socially you will need to avoid other dancers (depending upon the nature of the dance the level of other dancers), you will need to dance at a level equal to or lower than that of your partner, and you might just want to do something different for the pleasure of it and the enjoyment of your partner (who might have been put through that routine a number of times before). This means that as a man you need to manage these two aspects of your dance learning. The biggest problem with routine is that you can find that it is all you can do. You’re robbed of your ability to freestyle, and you suffer from all the problems that come form that: not knowing what to do when there’s an obstacle, only knowing how to perform a step when it follows another certain step, getting bored with dance, or feeling that you’re just not really a good dancer. There are some advantages though. A well designed routine will show you how one step can lead into another. It will ensure that you quickly learn a larger number of steps and it provides an easy way to know that you’ve covered each of the key steps for some level. Finally, it can be useful to be able to draw on a routine so that you can put a number of steps together in a manner that feels very natural to you and your partner. Obviously, you should make sure that you get a chance to do so. You might already do this if you go to a school that runs a lot of social functions that you attend or of you just happen to go to a lot of social dancing. When you are dancing freestyle, think ahead. Plan a mini routine in your head of say three steps and then execute them. Depending upon your level, this might be quite tricky, but with practice you will get better at it. You can always pull sections form the routines that you know too. Simply doing them in a different order can be enough to break the bad effects of routine. Reflect on how your freestyle goes. If you try something and it didn’t work, then ask yourself why it didn’t work. I often find that it is because I did not think clearly about how I should get into the mini routine in my head – sometimes I realise that I never thought about how I would get out of it. And then at other times I realise that I did not think properly about how each step leads into the other. The routines you know can also be used to provide a good point of comparison. As you contemplate your own routine, you will find that your understanding of dance, and how/why the routines work, increases greatly.